The history of Ferryland is long and fascinating, spanning more than 500 years. From F.N.L. Poynter, ed., The Journal of James Yonge, 1647-1721, Plymouth Surgeon (London: Longman, Green & Co. Ltd., ©1963) Plate 4 A: "Part of the coast of Newfoundland, showing Ferryland", facing 81. Prominent players in the area's history include Beothuk Indians, migratory fishermen from western Europe, and European settlers who first began to arrive in 1621. Sketches of these topics are given below. A 17th-century lead weight found at the Ferryland archaeology site. It would have been used in the handline migratory fishery which took place at Ferryland during the 1600s. 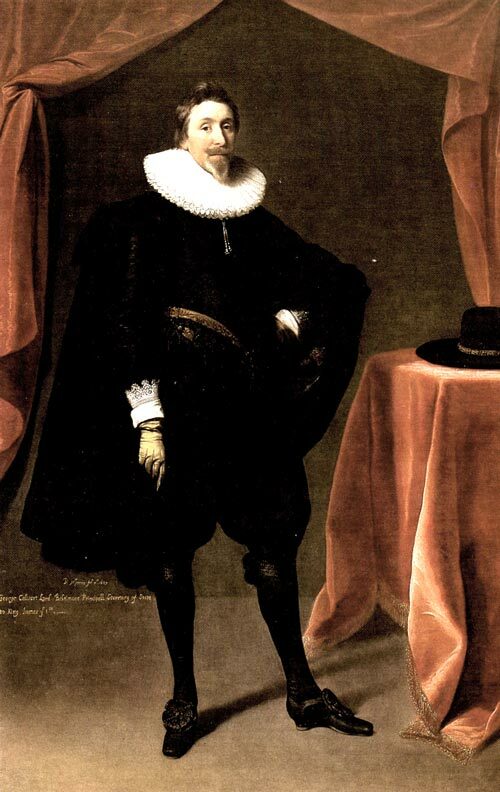 In 1620, George Calvert (1579/80-1632) purchased a parcel of land in Newfoundland from Sir William Vaughan. The land extended from just south of Aquaforte to Caplin Bay (now Calvert). 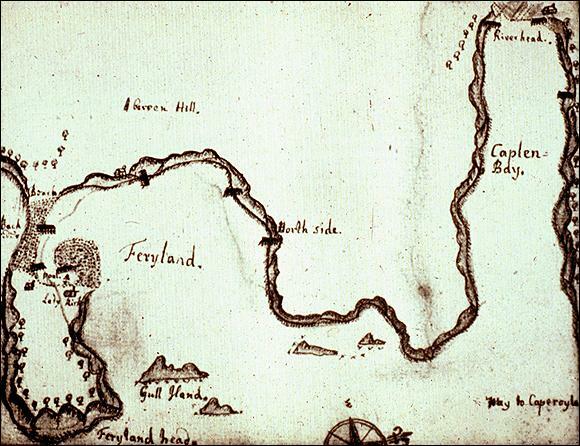 The following year, Calvert's colonists set off for Ferryland under the leadership of governor Captain Edward Wynne. After the colony had been established, Calvert obtained a larger land grant from King James I of England, who awarded him "the Province of Avalon". Calvert himself resided at Ferryland for a period of two years, from the summer of 1627 until the winter of 1628/29. Although the archaeological history of Ferryland essentially stops with the French raid of 1696, the succeeding two centuries are filled with fascinating characters and events. Many of these are interpreted at the Ferryland Museum, a short distance from the Colony of Avalon Visitor Centre.